CHICAGO (WLS) -- The Chicago Auto Show, which began in 1901, is the largest auto show in North America. It has been held more times than any other auto show on the continent, staging its 111th show this year. 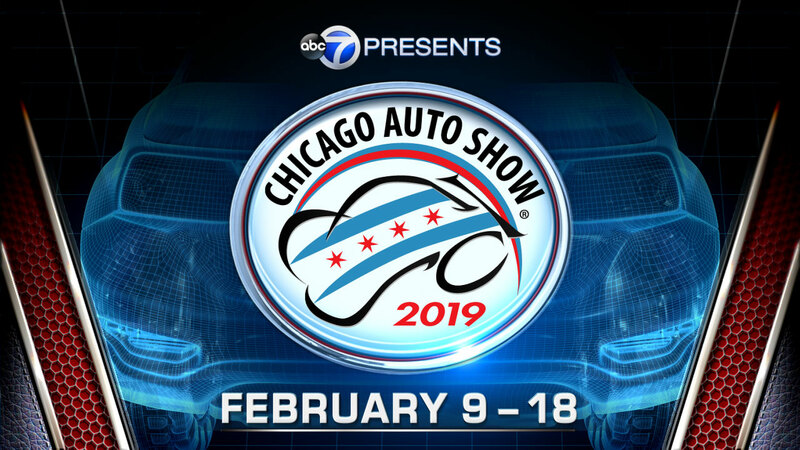 PUBLIC SHOW HOURS: Saturday, Feb. 9 - Sunday, Feb. 17: 10 a.m. - 10 p.m.; Monday, Feb. 18: 10 a.m. - 8 p.m.
Tickets can be purchased online or at McCormick Place ticket booths during show days. Booths will close one hour before the show closes. Children age 6 and younger can enter for free with a paying adult. Family members only. School and group ticket discounts are also available. Tuesday, Feb. 12: Women's Day. Women are admitted for $7. Manufacturers present special women-oriented programs on the purchase and lease of cars and maintenance. Wednesday, Feb. 13-Friday, Feb. 15: Chicago Auto Show Food Drive. Patrons who bring three cans of food will receive a coupon for $7 admission. All food will be donated to A Safe Haven Foundation. Friday, Feb. 15: Telemundo Hispanic Heritage Day. Special appearances and events take place every day. See the Event Schedule for up-to-date listings. McCormick Place is easily reached by car or public transportation. Extensive shuttle bus service from all area parking lots to and from McCormick Place. Weekend-only shuttle service from the Millennium Park and East Monroe underground garages. Shuttles stop in 10-15 minute intervals near Columbus/Upper and Lower Randolph and at Gate 3 at McCormick Place. Scooter and Wheelchair rentals are available by contacting Scootaround toll-free at (888) 441-7575. Scooter rentals are $50.00 a day and wheelchair rentals are $20.00 a day. Scootaround accepts all major credit cards. Scootaround is located at Gate 4 of McCormick Place (west end of the Grand Concourse). While Scootaround will make every effort to accommodate all needs, you are encouraged to reserve in advance. Visit the Scootaround event reservation page for more information.